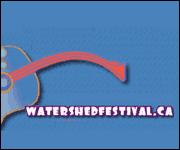 (CelebrityAccess MediaWire) — Concert Promoter Richard Sharpe and his Next Presentations Canada Ltd. have been charged with 342 counts under the Business Practices Act related to refunds for the cancelled Watershed IV concert in Walkerton, Ontario in 2003. The charges stem from cash refunds that were offered but never delivered when the festival, which was to have featured Bryan Adams, ZZ Top, Peter Frampton, LeAnn Rimes, Melissa Etheridge, Our Lady Peace, Chantal Kreviazuk and Randy Bachman, was cancelled after Sharpe claimed that SARS, Mad Cow Disease and the August blackout made for poor ticket sales. Others blamed the slow sales on overcrowding the previous year’s festival and the fear that some headliners wouldn’t show up as Sharpe had missed deposit payments to booking agency S.L. Feldman & Associates. Additional charges stem from vouchers offered for future concerts in the area that never happened, including a 2004 Watershed featuring Ronnie Hawkins and the Hawks, Fred Eaglesmith, The Wilkinsons and others, according to ChartAttack. Sharpe claimed in December of 2005 that inaction and breaches of contract by several Walkerton groups, including the municipal council, left him unable to honor the replacement concert vouchers, which expired at the end of last year. Country superstars Alabama successful sued Next Presentations Canada for $1 million in 2004, forcing Sharpe to file for bankruptcy later that year, claiming more than $2.5 million in liabilities.